Band Together. Forge the Fantasy. Live the Legend. When the Krahder ended their raid, they captured countless residents of Andor. But finally, the heroes of Andor returned and resolved to free the prisoners. You must immediately venture to the south to endure your greatest adventure. Beyond the Gray Mountains, malicious skeleton warriors await you, commanded by giant Krahder. 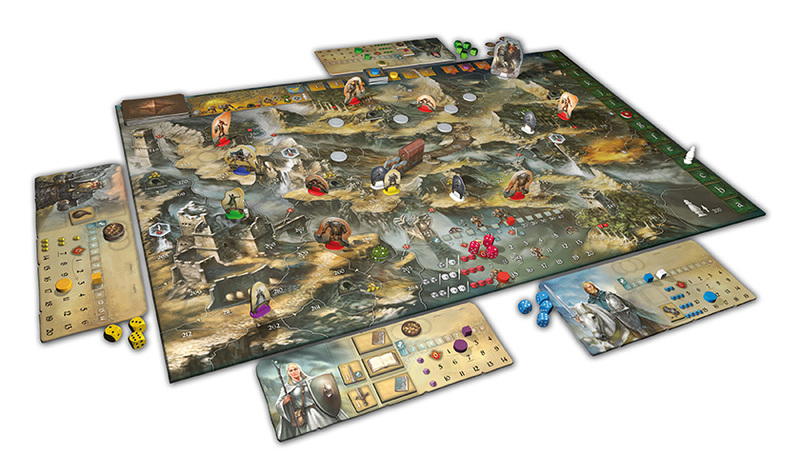 Will you be able to survive this adventure with the aid of the four magic shields from ancient times? You are … The Last Hope. 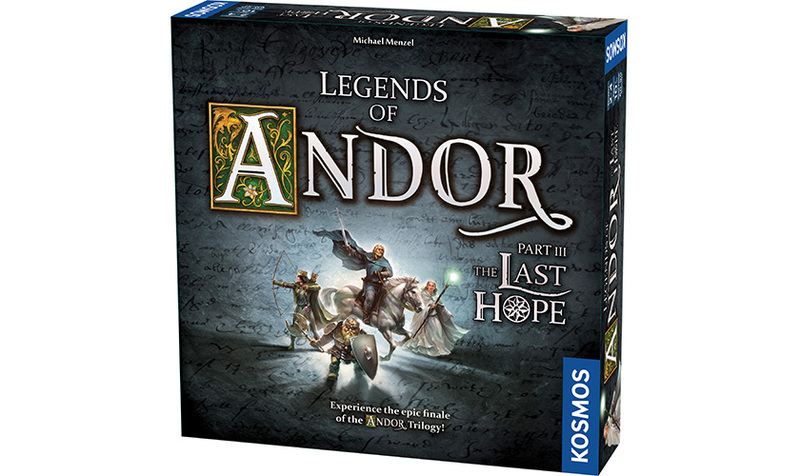 In seven captivating Legends, experience the epic finale of the fantastic Andor trilogy! 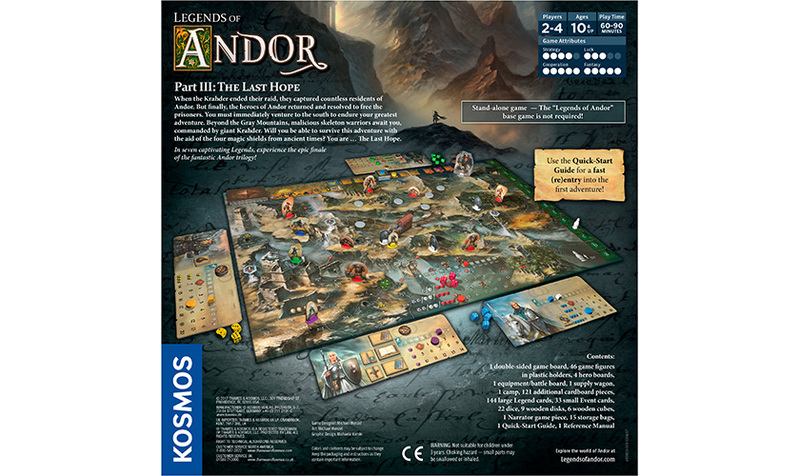 Stand-alone game — The “Legends of Andor” base game is not required!